This book explores the tradition of Icelandic spirit work, known as andleg mal, as practiced in the northern town of Akureyri. 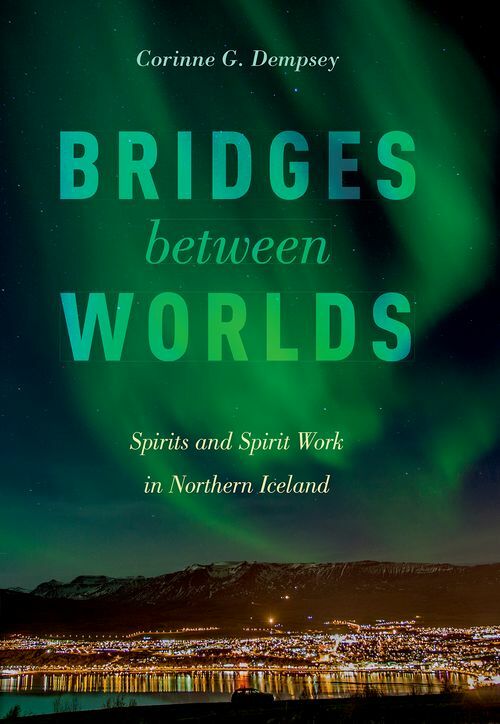 Based on firsthand accounts of these spirit encounters, Corinne Dempsey describes how andleg mal's beliefs and practices span not only earth and spirit but Icelandic histories and cross-Atlantic cultures. Keeping Track: A Glossary of Characters. Corinne G. Dempsey is Professor of Religious Studies, Director of International and Global Studies, and Rose Marie Beston Chair for International Studies at Nazareth College. She is author of Bringing the Sacred Down to Earth: Adventures in Comparative Religion (OUP 2011), The Goddess Lives in Upstate New York: Breaking Convention and Making Home at a North American Hindu Temple (OUP 2005), and Kerala Christian Sainthood: Collisions of Culture and Worldview in South India (OUP 2001).